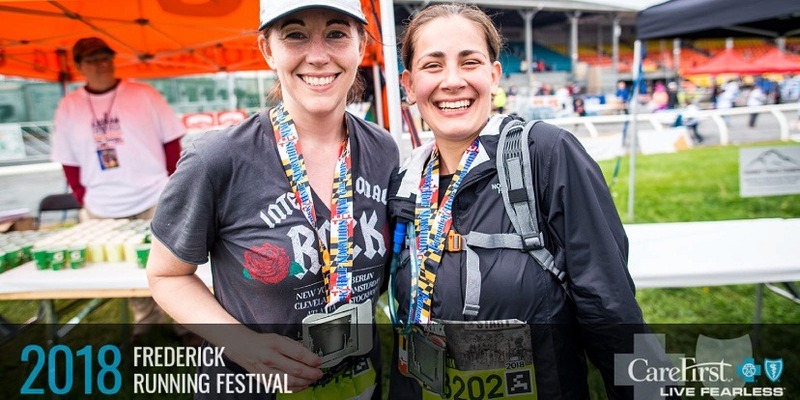 Sign up to get your Frederick Running Festival photos for FREE! Sign-ups available once bib numbers are released. That’s right, thanks to CareFirst BlueCross BlueShield everyone will get access to Free Race Photos! Participants will have the ability to share all their race photos on Facebook and other social media accounts no charge after the race. You can also download high resolution images, that you can take to a local retailer to make prints. We encourage you to have your Free Race Photos post directly to your Facebook account once they go live after the race. You will be able to sign up to take advantage of this great opportunity to share your race experience with your friends and family. Those who opt in to post to Facebook will be entered into drawing to win one of 10 free entries into the 2020 Frederick Running Festival. Be sure to wear your bib on the front to ensure the photographers capture your bib number in the photos and keep your race bib uncovered and in clear view. We recommend stopping your watch a few seconds after crossing the finish line so it may be possible to identify your photograph. Be sure to stop by the finisher’s photo station just after you cross the finish line to capture the moment!